Happy Sunday and Happy Wrapping all. 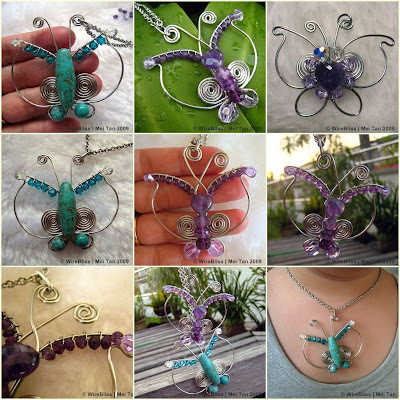 Here's to Wire Wrapped Butterfly Pendant! What a great tutorial...love the butterflies!!! I bet that all the looks are on the person wearing these pieces of jewellery at a party!